Tom Roberts, Director of the Ex-Prisoners Interpretative Centre (EPIC). The Good Friday Agreement officially marked the move towards peace in Northern Ireland but for more than 30,000 people, convictions for conflict-related offences pose barriers in today’s society. agendaNi speaks to two ex-prisoner groups based in north Belfast to learn more about their services and why they are still necessary two decades later. Tom Roberts, Director of the Ex-Prisoners Interpretative Centre (EPIC) on the Woodvale Road believes that many of the barriers facing conflict-related ex-prisoners still exist to this day, however, he knows that situations have somewhat changed since the centre became operational in 1995. Prior to formalisation in 1995, EPIC operated as a self-help group, set up to address the initial challenges facing those attempting to reintegrate into society. “Our primary function, at the time our only real function, was trying to fill the gap created by a lack of mechanism to deal with the unique situation in Northern Ireland. A lot of those jailed were very young and even before tackling things like education and employment barriers there were immediate problems like housing, if say parents had died or if a marriage had broken up. From very early on we had a welfare rights officer who could help people access benefit entitlements, so that they could actually have money in their pockets for food,” explains Roberts. The early prisoner release scheme signed off under the Good Friday Agreement (GFA), intensified the demand on the service. Roberts explains to this day people are still discovering barriers posed by their conviction which had not previously been flagged. However, he admits that barriers to employment pose the biggest threats to livelihoods and states that EPIC have been at the forefront of advocating for their removal to allow ex-prisoners to become economically active. Since its creation, the work of EPIC has diversified significantly. 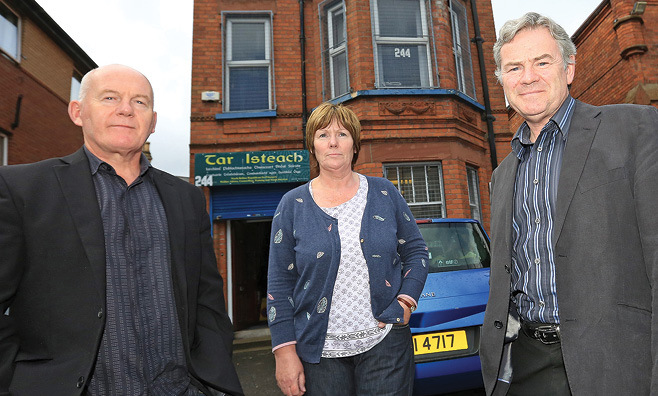 Their welfare rights officer was made available to the wider community almost immediately and currently processes 1,000 clients annually, making it one of the busiest offices in the greater Shankill area. Campaigning for better provision around mental health has also been a large part of their focus. Speaking specifically about both victims and ex-prisoners, Roberts points out that there are further obstacles around disclosure, confidentiality and treatment that are often overlooked for the specific groups. Community involvement has been key to sustaining EPICs work and maintaining the service for ex-prisoners. As well as engaging with political adversaries in the form of the cross-community Ex-Prisoners Working Group, EPIC partake in interface resolution, the Neighbourhood Renewal Scheme, international study visits and work with local and international academics in the field of conflict resolution, cultural, political and historical talks and tours, as well as youth intervention. European PEACE money has played a key role in sustaining and expanding the services of ex-prisoner groups in Northern Ireland. However, significant delays in PEACE II and PEACE III programmes have posed serious threats to maintaining these, with many having to significantly reduce staff and scale back on programmes. 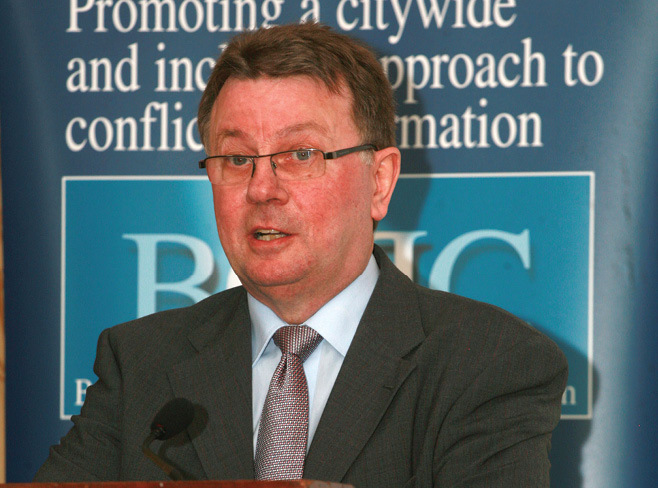 Groups are currently in the process of applying for PEACE IIII but the overall availability of future funding is in doubt as the terms of Brexit continue to be negotiated. Project Co-odinator at Tar Isteach, Tommy Quigley, fields the question ‘When does an ex-prisoner stop becoming an ex-prisoner?’ on a regular basis. The response he gives is often: “When all the inequalities and barriers faced by ex-prisoners are removed and they are restored to the same treatment as everyone else in society”. Like their loyalist counterparts, Quigley and Tar Isteach Chairperson, Paul O’Neill, believed that the group’s usefulness would have long expired from its original concept, however, such is Northern Ireland’s current social and political situation that last year, over 4,000 people crossed their Antrim Road doors to access services and more than 6,000 queries were dealt with. Tar Isteach Chairperson, Paul O’Neill; Welfare Rights Manager, Agnes Fraser and Project Coordinator, Tommy Quigley. Tar Isteach was born out of recognition that greater New Lodge area in north Belfast was one of the worst affected during the Troubles. In a population of around 5,000 people, a study found that there were at least 600 ex-prisoners and between 1,300-1,400 children who had a parent or parents imprisoned. O’Neill says that there was a recognition of little or no provision for those leaving prison with skills deficits, psychological issues and the genuine poverty of both themselves and often their immediate families. However, unlike the atmosphere encountered by loyalist ex-prisoners within their own community, republican ex-prisoners were greeted largely with good will. Quigley states that as well as the barriers posed to people living in areas of high deprivation, ex-prisoners encountered a significant amount on top of that, including skills gaps, a smaller job pool and limited areas in which they could safely work. This reality inspired many of the training and education programmes run by Tar Isteach, on top of the popular welfare rights/benefits advice service and youth project programmes. Tar Isteach prides itself on not just providing services to the ex-prisoner community but also bringing the ex-prisoner situation to a wider audience. Both O’Neill and Quigley, who for many years have crossed interfaces to engage with other groups, including loyalist ex-prisoner groups, are angry at their treatment by some political parties. “Our ethos has always been to help these communities which bore the brunt of the conflict and that bore the brunt of disadvantage and poverty. We are about trying to improve our communities and move them out of conflict into a better society. However, to do this we require a trust, co-operation and a level of respect, which we have not been privy to. Integration of ex-prisoners was included in the Good Friday Agreement but that has never fully been embraced through resource or focus. That has been a big problem and has fed into a negative atmosphere around ex-prisoners,” argues O’Neill. Many issues that Tar Isteach have campaigned for were included in the Fresh Start negotiations, Quigley explains that talks around employment, travel, insurance, childcare and banking provided “light at the end of the tunnel” despite falling short of the full expungement of records, which they would like to see. However, the collapse of Stormont has been seen as a backward step in this process. Continuing to push these items onto the political agenda has been made all the harder by the likely impact of Brexit and reduction in European funding. The group suffered heavily from recent restrictions and delays in the PEACE funding, reducing it to a “skeleton service” of its previous functions, but demand still exists.